Start at the Sheikh Mohammed Center for Cultural Understanding (SMCCU), where you can have a traditional breakfast and learn about the culture of Dubai and the UAE in general. 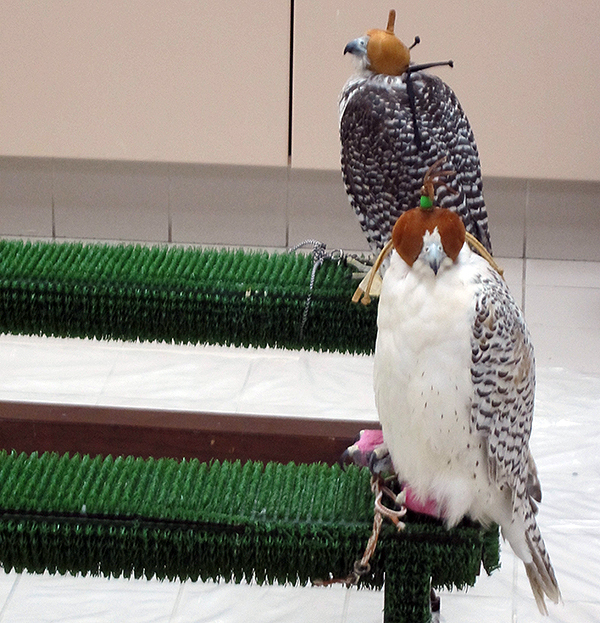 Tradition remains a strong current throughout UAE society, while it adapts to tolerate, if not embrace, some of the modern social mores of the 80-90% ex-pat population. 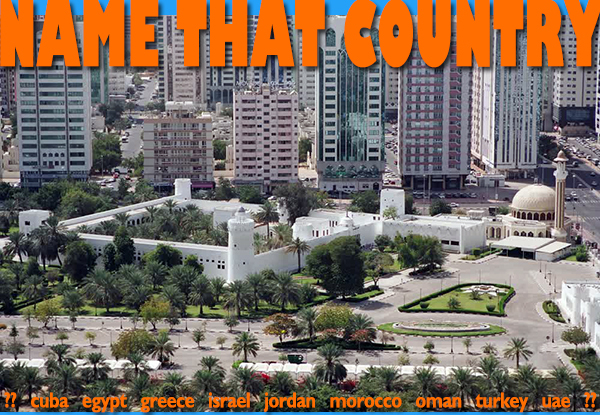 The SMCCU is located in an old wind-tower house in the Al Fahidi district (also known as Bastakiya) of Bur Dubai on the western side of Khor Dubai (Dubai Creek). 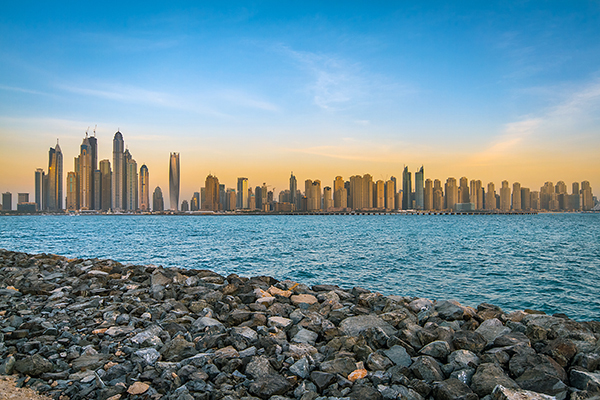 The district is named for Al Fahidi Fort, the oldest standing building in Dubai. The residential area that grew up around the fort was planned to make life in the extreme climate as comfortable as possible. Houses were built around narrow, winding lanes to maximize shade and draw cooling breezes through. Towers on the houses drew air down past water, which cooled the rooms as it evaporated on the wind. Take an abras (water taxi) across the creek to Deira, where you’ll find the souks. If you’ve been to souks in Fez, Istanbul, Jerusalem and Cairo, Dubai’s souks probably won’t blow your socks off, but they do have local charm and are well worth some poking around. The Gold Souk is really something to behold and many visitors to Dubai come just for the gold. Then travel in a matter of minutes from old Dubai to the number-one icon of new Dubai, Burj Khalifa, the world’s tallest building. I like buildings and have raved about this one more than once in this blog: here and here. Take the At The Top tour for access to the observation deck on the 124th floor. 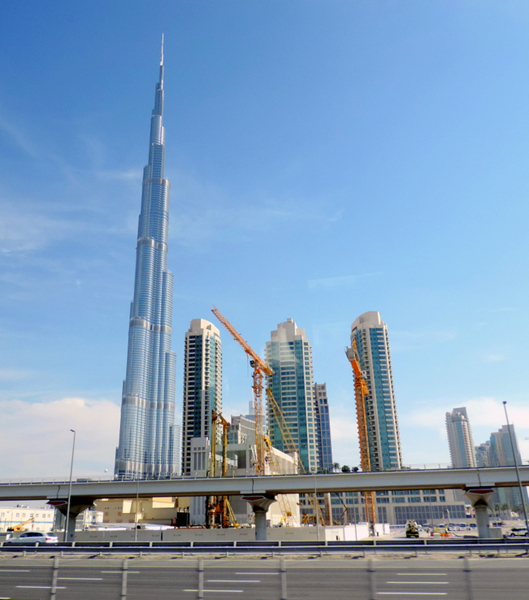 Burj Khalifa is part of the Downtown Dubai development, which includes the Dubai Mall (for a completely different shopping experience from the souks) and the musical Dubai Fountain. Start the day with breakfast at the Farriers Restaurant with views of horses during morning track work on the Meydan Racecourse. 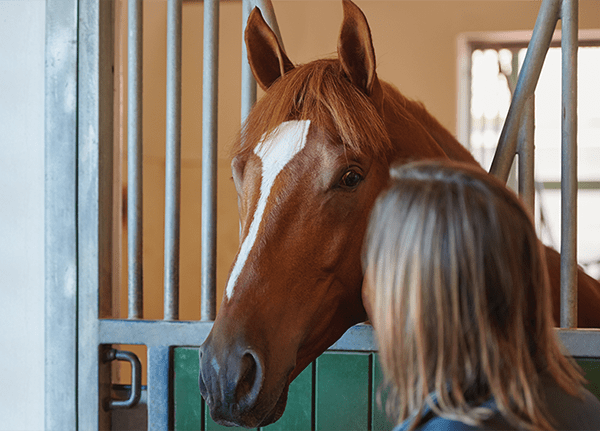 After breakfast, take a tour of the Meydan Stables. Drive to the giant Jebel Ali port, about 20 miles south of Dubai city, for a seaplane tour. The aerial perspective really helps to take in the extraordinary evolution of Dubai. You’ll fly over the whole city, but birds-eye views of the man-made Palm Jumeirah and World Islands, the Burj Khalifa and the sail-shaped Burj Al Arab Hotel are especially astonishing. 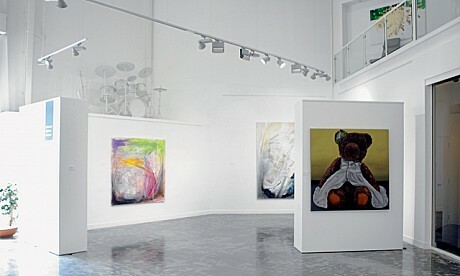 Come down to earth with a tour through the art spaces on Alserkal Avenue in the industrial Al Quoz district. 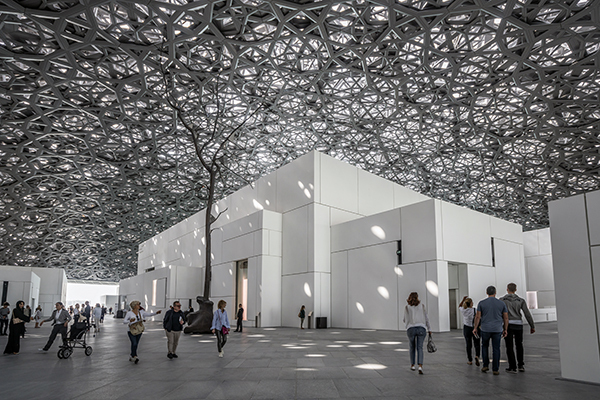 Since 2007, Alserkal Avenue has developed “organically,” as they like to say, into a hopping arts scene, with the city’s largest concentration of galleries and arts venues. It’s a good place to ground and balance out the hyper-commercialism that built Dubai and keeps it ticking. Click to see Dubai tours on our website. Jebel Shams in the Hajar range is the highest mountain in our mystery country and the range is the highest on the Arabian Peninsula. 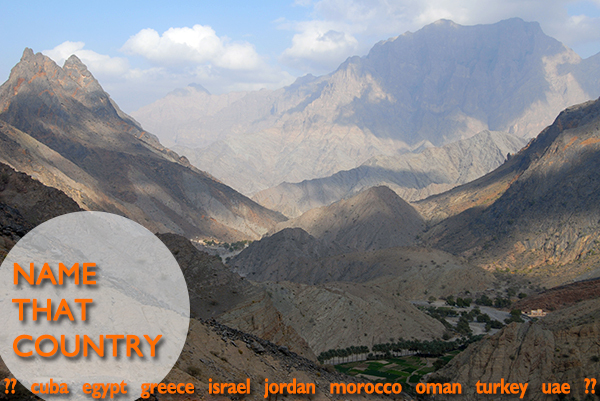 The Hajar range runs parallel to the northern coast of the country and crosses the northwestern boarder into the UAE. The range separates a narrow coastal plain from desert. 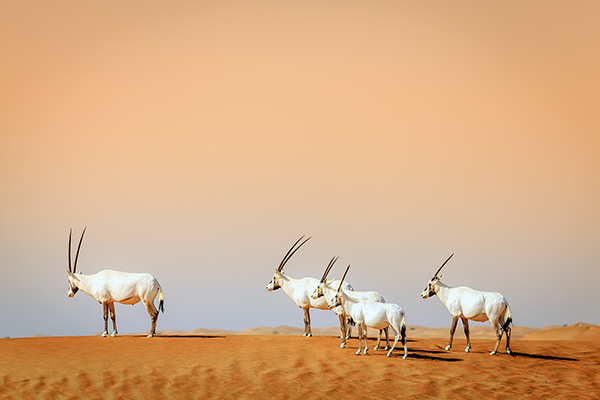 In 1761, a hunting party of Bedouins followed a gazelle out of the desert to a pool of fresh water near the coast, a miraculous find in that place. They built a well and a watch tower out of coral, sea stone and crushed sea shells to protect and control the water, at that time the greatest form of wealth they knew. The ruling sheikh moved into the fort and Qasr al-Hosn (which means “palace fort”) remained the residence of the local rulers for 200 years there after. 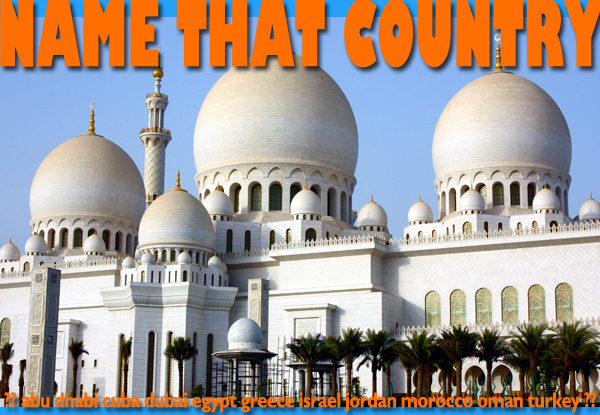 Today, Qasr al-Hosn stands in the shadow of watch towers of another kind, built by liquid wealth of another kind. 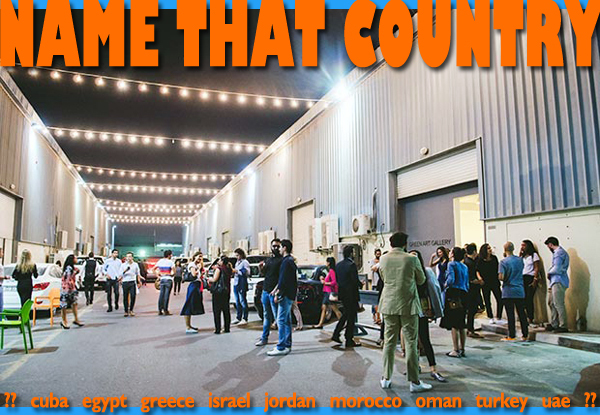 In the industrial Al Quoz quarter of our mystery country’s largest city, the thriving Alserkal Avenue arts district showcases, nurtures and supports contemporary regional, multi-discipline arts and artists. Twenty renovated warehouses and other buildings house galleries, artists’ studios, food, drink, artist residencies, workshops, theater, cinema, public spaces, and programs. A full and diverse calendar of talks and festivals bring together artists, city residents and visitors in appreciation of the vital place of the arts in society. 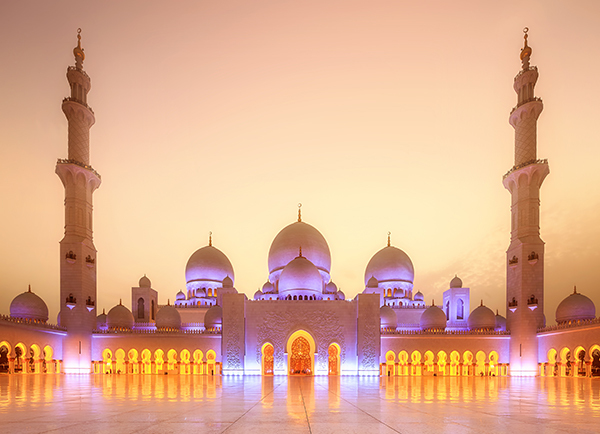 The Sheikh Zayed Grand Mosque pictured above is named for the founder and first president of our mystery country. The country, composed of seven united principalities boarding the Arabian Gulf, is known for its oil wealth and shiny modern cities. 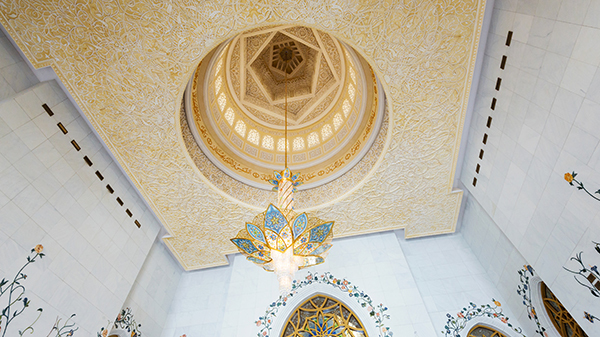 Sheikh Zayed, who died in 2004, is locally revered and widely respected for wise stewardship of the considerable natural resources within his borders.